Imagine waking up and sitting out on your east facing balcony to the sunrise coming over the nearby Atlantic Ocean. If the beach is calling you, a short 4 block walk puts you in surfside park. Later on you decide to spend the day exploring the intracoastal or an offshore excursion with the inlet just 1 mile to the north. 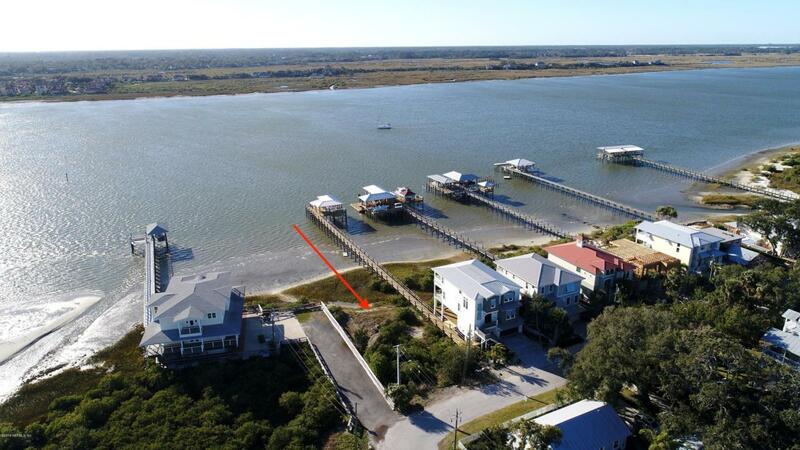 Then, headed for home you take a small detour to downtown, or to the nearby Aunt Kates or Caps on the water for a nice dinner, all without ever getting out of your boat.This 1/3 Acre lot is the last left in this small enclave of 6 intracoastal front lots. The shared walk is already in place just waiting for you to add your dock, boathouse and/or covered area. School districts for this lot are Ketterlinus elementary, Sebastian middle, and St Augustine high. Rare lot just 1 mile from the inlet and less than 1 mile to the nearby Publix and the Vilano Towncenter area. See attached Covenants & restrictions. We have a builder ready to help design and build your custom home on this lot and a home/lot package is an option to a qualified buyer.